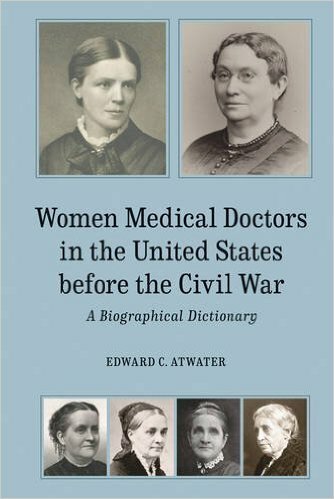 Women Medical Doctors in the United States before the Civil War: A Biographical Dictionary by Edward C. Atwater is a true labor of love. The author compiled a list of 280 women who received MD degrees during the 13-year period from 1849 (the year the first woman received an MD) until the start of the Civil War. Medical school itself was nothing like what we know today. Regularly-trained physicians competed for patients with other doctors trained as homeopaths or as water cure experts. Given the primitive range of treatments available to regular doctors, outcomes were often better for patients treated with homeopathy or water cures. Female physicians generally tended to women and children, and often lectured to the public on health and hygiene. But there were women serving their communities in the same capacity as male physicians in this early time period. The book lists the women alphabetically and provides as much biographical information as the author could cull from census records, newspaper or periodicals, books (some of the women wrote books or pamphlets), and occasional letters. Some of the women left behind enough of a record to piece together a glimpse of their lives, while others remain a blank, with only the barest demographic information available. In many cases, it isn’t even possible to know for sure if they practiced medicine after earning their degrees. Other women not only practiced but taught in medical schools. Despite the encyclopedic nature of the book, it is surprisingly readable and oddly fascinating. It’s a difficult book to get through all in one sitting, but it’s a great book to read in bits and pieces. Anyone with an interest in the history of medicine might like a copy of this book for their shelves. I’ve fallen behind with Lindsey Davis’ Flavia Albia Mysteries, set in ancient Rome, so I got books 3 and 4 for Christmas. I’ve just finished book 3: Deadly Election. 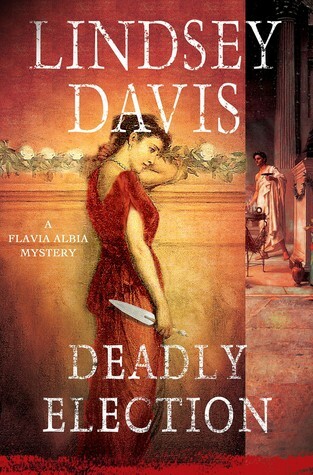 Flavia Albia is the adopted daughter of the famed informer/spy Marcus Didius Falco, whose stories I devoured. Albia is similarly hard-boiled, a determined and intelligent detective. Although she reports that being female limits her inquiries to discovering cheating husbands etc, she has in fact solved her share of murders mixed with political intrigue. While I still find her wry cynicism less convincing than Falco’s, I enjoy the complex mysteries she solves and her evolving relationship with magistrate Manlius Faustus. In Deadly Election, Albia is back in Rome, recuperating from her most recent adventure (see book 2, Enemies at Home.) The family auction house is holding a summer sale, despite the fact that most people flee Rome in the heat of July. Albia, as the family representative, is more or less supervising so she is notified when a corpse is discovered in a lockbox the auction house has up for sale. Intrepid and responsible, she sets out to identify the victim with hopes it will lead to the murderer. At the same time, Faustus comes to her for help (and for company.) He is acting as campaign manager for an old friend, Vibius Marinus. Faustus asks Albia in her capacity as informer to dig up dirt on the opponents. She’s game, but is disturbed by rumors about Faustus’ friend. The tangled relationships between the candidates make it unlikely that Vibius Marinus is as devoted a family man as Faustus believes him to be. The pieces fall into place after a second body is found in the same trunk. Albia is growing more confident and more mature. Faustus remains a strong support and all-round steady character. It’s taken some time for this series to grow on me but I’m glad I stuck with it and I’m looking forward to book 4. Nicholson is caught and sent to Federal prison. While the backstory dragged a bit, the account of the cloak-and-dagger surveillance and eventual takedown of the spy sucked me in. It’s hard to fathom this stuff going on in the real world. If Nicholson’s first act wasn’t bad enough, his subsequent manipulation of his own youngest son, an emotionally fragile and eager to please young man, will leave readers cringing. Nathan Nicholson’s gullibility could only be excused by his devotion to a father whose motivations he couldn’t see clearly. 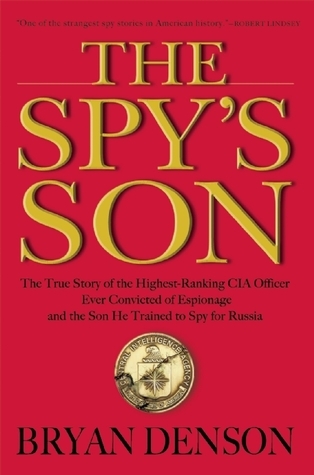 Those who enjoy spy stories will surely find this real-life account gripping. 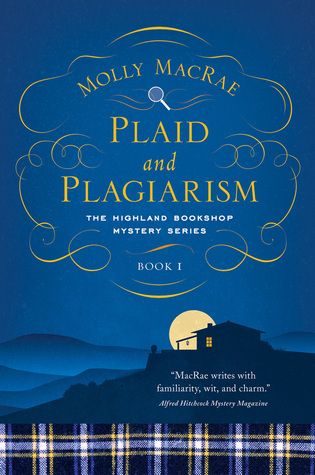 Plaid and Plagiarism by Molly MacRae is a newly released first book in a cozy mystery series that adds in an additional enticement– the detectives are book shop owners. I decided to give it a try even though it’s a contemporary novel and I tend to prefer cozy mysteries that are historical. Four women (Janet, her best friend Christine, and their two adult daughters, Tallie and Summer) have decided to move to the tourist town of Inversgail in the Scottish Highlands and take over a bookstore. (The owners are selling.) The plan is to add on a tea shop and bed-and-breakfast. The four women have talents and backgrounds that should help ensure success (a librarian, social worker, lawyer and investigative journalist, respectively.) Christine is from Inversgail and wants to move back to care for her aging parents. Janet, who is the main protagonist, used to vacation in the town with her husband, from whom she is recently divorced after discovering he cheated on her. The four arrive in town and begin to get organized in advance of the big annual literary festival that should help drive traffic to their store. Right away, they are visited by Una Graham, who writes an advice column for the local paper and who has also taken up investigative reporting. Assigned to do a story on the new bookshop owners, Una is looking for controversy, not a puff piece. If she can’t find controversy she has no problem inventing it. The women are put off by Una, but continue on with their business, which includes meeting some of the other locals. Then they head off to Janet’s home. (Purchased long ago by Janet and her husband to be a retirement home, the house is now being rented. At least, it was being rented. The lease was not renewed and the renters are, supposedly, dragging their feet about leaving.) They arrive to find the kitchen full of garbage. That’s a lot better than what they find when they try again a few days later. Now, they discover Una Graham brutally murdered in the garden shed. The local policeman is called in, who also alerts the special crimes division. The professionals begin investigating, but that isn’t enough for the bookstore owners who have a vested interest in seeing the crime solved. They begin collecting clues on their own. The book is set in a lovely location and the second-chance scheme of the women to run their own business in town is interesting. The mystery holds together in the end. However, the story is slow paced. The women suspect whatever townspeople they come into contact with. The action consists of the women questioning townspeople then listing everything they know and all their new questions on a spreadsheet. The village policeman is sweetly patient with them, but their prying into a murder investigation–and being allowed to interfere– does seem a bit farfetched. Some of the plot elements also seem unlikely, and appear wedged in to make other pieces of the plot work. While it’s a short read and nice to envision a life of book-selling and scone-eating in Inversgail, I wasn’t really engaged in the characters as mystery solvers. Time for another Georgette Heyer Regency Romance. 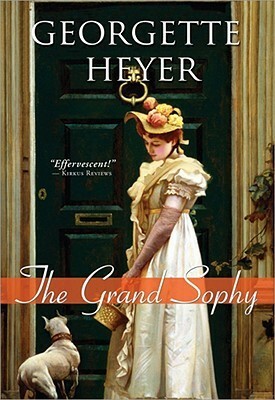 The Grand Sophy is a fast-paced delight. The Rivenhall family is in a funk. Lord Ombersley, the patriarch, is a gambler and a skirt-chaser who has run the family estate into the ground. There are a passel of children for Lady Ombersley, sweet but ineffective, to worry about. Fortunately, the eldest son, Charles, has a good head on his shoulders and, to boot, inherited a fortune from an uncle. Unfortunately, the weight of managing the family’s affairs has turned him into a domineering somber bore who has engaged himself to a nasty judgmental woman who plans to fix what she considers wrong with the whole clan. Among the children of the Ombersleys is the beautiful Cecelia, now of marriageable age. She was just about engaged to an extremely eligible and devoted man when her head is turned by a beautiful, dreamy young poet, a younger son of a good family who has no prospects whatsoever. Even his poetry is bad. At the same time, her more eligible suitor has the misfortune of contracting the mumps and having to withdraw from society for a time, which Cecelia takes as a personal affront. The fortunes of this beleaguered family are about to change. Lady Ombersley’s brother, a diplomat, has been called to Brazil. He must leave his daughter, his little Sophy, behind in England and asks his sister to watch over her for a time and, since it’s time to think of marrying her off, to look about for a match for her. Inconvenient as the request is, Lady Ombersley can not reject her niece or refuse to do her brother the favor. So Sophy arrives. She is a confident, self-possessed whirlwind, the likes of which London has never seen. A delightful schemer, she assesses the situation in the house at once, and sets her mind to making things right. The household is turned upside down with amusing and fairly predictable results, but it’s a madcap adventure getting to the happy-ever-after. This is classic Heyer Romance and can’t be beat for a light-hearted holiday read. Thank you to Karen at Books and Chocolate! I’m looking forward to next year. I did it! 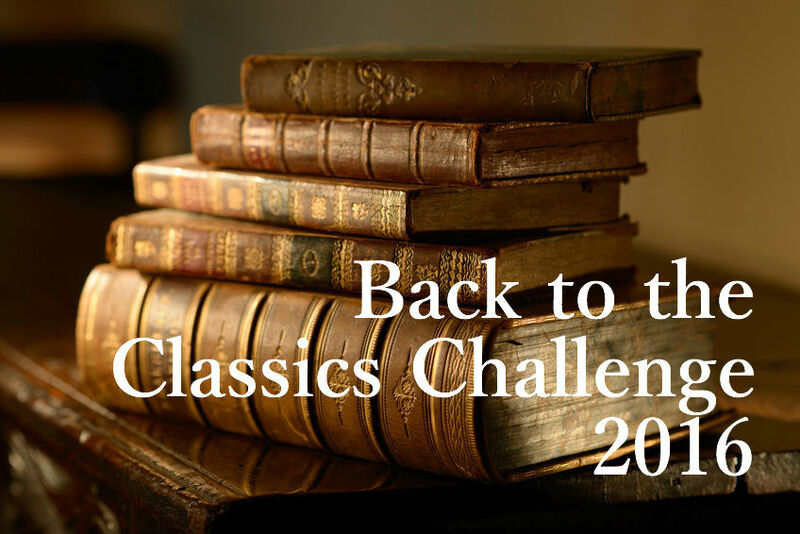 I finished the Back-to-the-Classics Challenge! 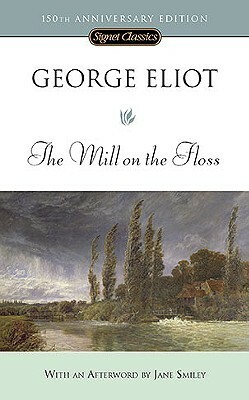 My classic-written-by-a-female-author choice was The Mill on the Floss by George Eliot. Previously for a classics challenge (I can’t believe it was more than 3 years ago) I read Eliot’s Middlemarch and loved it. It shouldn’t have taken me this long to get to The Mill on the Floss. This is the story of an ordinary woman, Maggie Tulliver, the daughter of a miller, in a tiny English village on the river Floss. The family is of respectable means, but not as well-off as her father likes others to think. He’s a rather narrow-minded man who feels everyone is out to cheat him and so has had multiple run-ins with other people’s lawyers. He wants his son, Tom, to get an education so that he can be a match for them. To that end, he sends Tom off for private instruction. Tom is not particularly smart. He’s an upright young man, given to feeling morally superior to everyone else. He has common sense and would make a fine miller, but he’s no scholar. Unfortunately, Maggie got the brains in the family, which makes her a bit rebellious. She also got the heart, which makes her impetuous. Maggie adores her older brother and is desperate to be adored in return. While Tom is sometimes kind and generous, he disapproves of her sentimentality and rash emotions, and tends toward being a bully and a scold. This is all rather heart-breaking for Maggie in her childhood days, but gets even worse as she grows into a young lady. In a Romeo-and-Juliet-like twist, Tom’s fellow pupil is the son of Mr. Tulliver’s arch enemy, a wheeler-dealer whose various money-making schemes always seem to infringe upon the rights of the mill. Tom doesn’t particularly like Philip Wakem but Maggie, who treats everyone kindly, visits Tom and befriends Philip. As Philip doesn’t have many friends (due to a physical deformity), he is overwhelmed by Maggie’s affectionate generosity. The children grow up. The Tullivers experience tragedy that is laid directly at the door of Mr. Wakem, and they are forbidden by their father to have anything to do with the Wakems. It may be expected that Maggie and Philip find a way to disobey the charge to keep apart and that love blossoms between them. But this isn’t the whole of the tale. Maggie’s need to please and her delight when she finds herself admired lead her into a situation where she knows she will hurt the people she loves most, no matter which path she chooses. Worst of all, she will be estranged from her brother. Many readers will be heartily sick of Tom Tulliver early on in the book, and will wish Maggie capable of turning her back on him as readily as he can shun her. But Maggie, as inconsistent as she is in some areas, is consistent in her determination to be loved by her brother. This is a beautiful and tragic story. Eliot spends a great deal of time bringing the reader into the small world and rather cramped lives of the Tullivers’ extended family and few friends. The character studies, particularly of Maggie and Tom, are richly rendered. The reader understands how they think and why they do what they do. The omniscient narrator provides details that condemn, but at the same time gives explanations that excuse, their actions. The narrator also offers up insights into the psychology of the characters and more broadly analyzes human nature in such compelling passages that she sweeps the reader along. The events are tragic on a small, personal scale, but that doesn’t make the story any less gripping. These long books are making it hard for me to blog as much as I’d like. I finally finished Victoria The Queen. 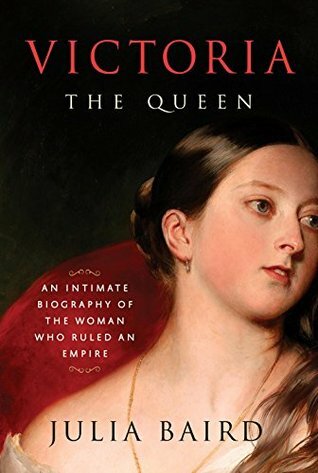 An Intimate Biography of the Woman Who Ruled an Empire by Julia Baird. As interested as I am in the Victorian time period, it’s embarrassing that I knew so little about Victoria. This book seemed the perfect way to remedy that. In 1837, at the age of 18, Victoria inherited the throne of England and ruled for sixty-three years. Not content to be a mere figurehead, she made her political views known and manipulated the ministers from behind the scenes. She was devoted to her husband, her cousin Prince Albert, who did much of the work of the monarchy in the early years of her reign, largely because she was busy bearing nine children. After his death, she mourned deeply for an extended period of time, until drawn back into public life by her interest in what was happening in England and because her grief was assuaged by her scandalous relationship with a commoner, John Brown. This detailed biography pulls extensively from primary sources to give the reader a picture of the woman as well as the queen. Baird strikes a good balance between lauding Victoria’s accomplishments, explaining her popularity, and discussing her faults and where she fell short. Often, snippets in the queen’s own words are her own worst critiques, showing Victoria’s self-absorption, her complete conviction of her own infallibility, and her neediness. Yet she mastered the art of winning the adoration of her subjects. In addition to presenting Victoria’s life history, this is a fascinating look at the policies and tactics of the British Empire of the times. It’s lengthy and, at times, a bit repetitive, but overall well-organized and informative, with an extensive bibliography. For those interested in the Victorian Era and Victoria herself, this is superb biography.